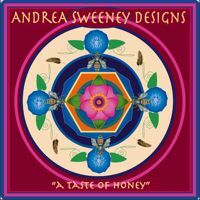 Please join church member Andrea Sweeney this Friday evening, October 1, at a reception to open her show at the Northshore UU Church. Titled “A Taste of Honey: Essential Arts — Art with a Purpose,” the show will celebrate the beauty of flowers, fruit, and the honeybee in art. “This will be a fun evening for all: a little theater, some drumming for fun, delicious eye candy, and tastes of honey for all,” says Andrea. A portion of the proceeds from her art will be donated to the American Beekeeping Federation. The Friday reception will be from 7 to 10 p.m. All are invited.